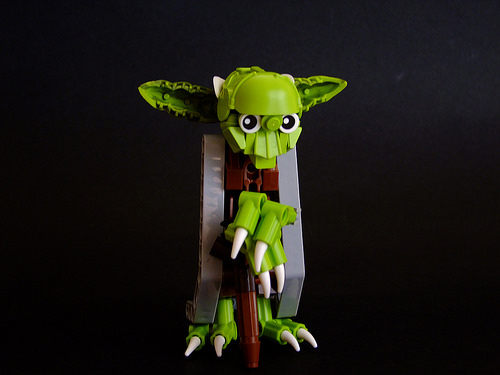 Serbian builder Djordje really is one of the best in the game when it comes to capturing characters in LEGO, as this model of Yoda demonstrates. From the ears made of green Kraata, to the upper lip recreated with a single flipper, to (my favourite) the entirety of his robes made with two technic lift arms. It’s. Just. So. Clever.